A former soldier has launched a bootcamp fitness centre on a Black Country trading estate, thanks to Bulleys. The leading commercial property specialist sealed the deal with Empire Fitness on the GK Davies Trading Estate on Hayes Lane, Stourbridge.
. He has now used his Army experience and training to establish the bootcamp business, signing up more than 20 members who attend sessions regularly, with many more using it on a casual basis. Angela Holland, agency assistant in Bulleys’ Oldbury office, said: “This is a more unusual deal but has brought a real lease of life to the trading estate. “Rhys is a bright, friendly and very efficient entrepreneur who is steadily building his new business, and we’re delighted to have been able to help him. Mr Jenkins-Hayhow, aged 26, said he’d initially launched his Empire Fitness bootcamp in the local park, but that the unreliable weather had made this impractical and so he had been seeking an inside venue. He said: “This is ideal as it’s a large, open space where we can quickly set up assault courses, sprint routes and training, and users know that it will be open and working regardless of the weather. 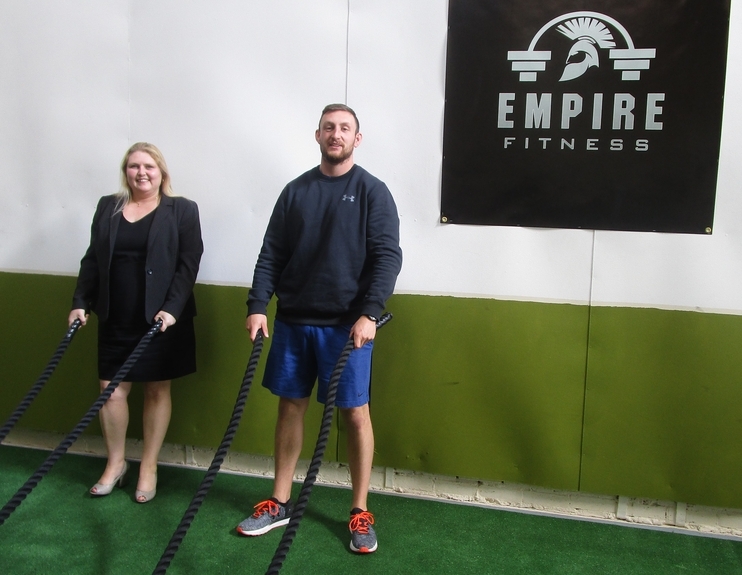 Empire Fitness is based in Unit 8B, a 2,378 sq ft property on the GK Davies Trading Estate, which has been rented for £7,250 a year on a three-year lease. Bulleys market and manage the GK Davies Trading Estate on behalf of Davro Steel Ltd of Bridgnorth, Shropshire, and have recently let Unit 8a to another tenant for storage. There is now one more unit available before the site is fully let which is Unit 4, measuring 4,779 sq ft.